This is the top rated app. You actually purchase You Need A Budget online and then, the app connects to your account. What is great about this app is that it updates in real time. That means as a couple, both you and your spouse or partner can use the same one. As you spend money, it will update. That way you both know where you sit financially at all times. Mint is from the makers of Quicken, so they know how to make an app that will actually work to help you with your budget. Mint will actually alert you as you spend outside of your normal patterns, which will also help you with tips to reduce your spending. You can join for FREE by heading HERE. Good Budget app is actually a virtual envelope system (which mirrors the traditional cash envelopes we have discussed in the past). It is the envelope system gone digital. As an added bonus, this app will help figure out how to save money which you can use to pay off debts or maybe even save up for that family vacation (or your own spa getaway weekend). This one also has both the apps for on the go updating, o you can log in from your computer to check your budget. GoodBudget is available on both Apple and Android markets. The app itself is free, but if you want more features, you can go pro and pay $15 for 3 months or $24 for six month. The pro option allows for more envelopes, more devices and will even track your budget history. Home Budget provides a lot of flexibility for anyone who really wants to utilize a hands on approach to handing thier budget. You really have more control over this vs. ones that may connect with your accounts and actually help you create your budget. This option is great for the person who loves the spreadsheet budget idea, but really wants to have access to it via an app. Mvelopes is another type of digital envelope budget to help you track your spending. This one allows you to connect to your bank account to see real time spending. 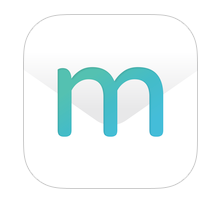 Mvelopes is available for both Android and Apple devices (with larger apps if you plan on using it on your tablet). While it is free, you can pay $95 annually for premium features. You can even hire a money coach if you need additional assistance. Wally is a great budget app that hides itself as an expense tracker. I love this one as it works using the same principles you might use if you were tracking expenses for a business trip. It works in the same way. Wally is available both for Apple and Android devices, and is free of charge. Bill Guard is great as it not only puts your budget on autopilot, it even provides you with instant alerts if there is an authorized charge on any of your accounts. That is honestly what sets this app apart from the others. It watches for spending using your card and alerts you if it appears to be fraud. This app even goes further and will help you contact your card companies if your information is compromised, getting you new ones and back on the road as quickly as possible. They even add in Identity Restoration and Theft Insurance for a fee of $9.99 per month. Bill Guard is free, unless you upgrade to ultimate, and then it will run $9.99 per month. Dollar Bird is another app you might want to check out. This is app has you track your spending a bit differently. You simply enter your starting balance and then enter your regular recurring expenses and even income (to start). You will even enter due dates and it reminds you so you don’t forget to make your payment (love that). This app is probably best for a single person as it does not sync across devices. Dollar Bird is free and it is available for both Apple and Android devices. Level Money tracks your budget and gives you a very clear picture of your finances. It tracks your income and expenses and in turn, informs you as to what you can spend daily, weekly and monthly. They call themselves a financial GPS. Level Money is free on both Android and Apple Markets. Buxfer is another money management tool. It allows you to see all of your accounts in on place and will even allow you to automatically download you transactions from your bank and/or credit accounts). Buxfer is free, but you can upgrade to add in more features (either $3.99 or $4.99, depending upon the options you want).